Parkside residences is a contemporary midrise that offers magnificent Views of the Dallas Skyline. 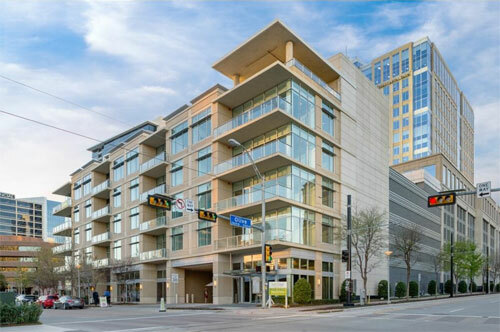 Its Located across from Kylde Warren Park and steps from the Arts district, Shopping and dining. At Parkside you will find lavishly designed condos that have 10 ft ceilings, gourmet kitchens, private balconies, floor to ceiling windows. Amenities include resident roof top terrace, catering kitchen and much more.